Legendary Hellboy creator Mike Mignola, Eisner Award-winning colorist Dave Stewart, and Dark Horse Comics are releasing a limited edition Hellboy print at Rose City Comic Con, with all proceeds going to the Houston Food Bank in the wake of Hurricane Harvey. 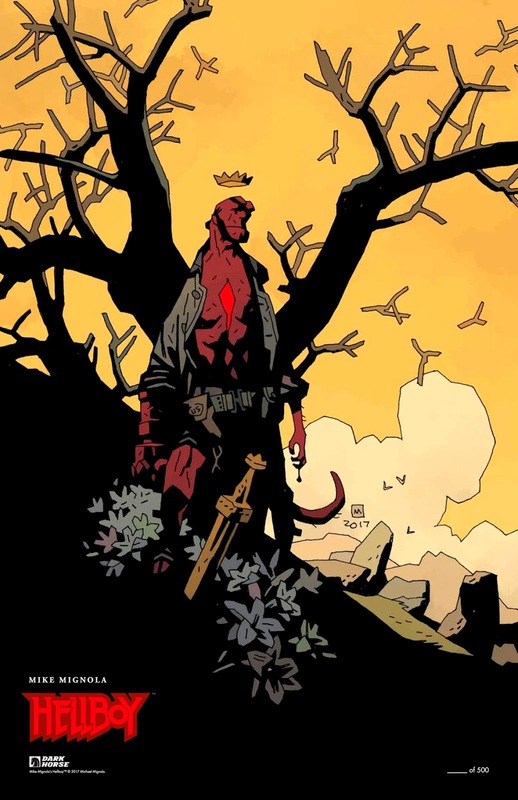 The 11” x 17” print features an illustration of Hellboy by Mignola colored by Stewart. 500 numbered prints, retailing for $20.00, will be available at Rose City Comic Con, September 8-10 in Portland, OR.